It's heavy and not especially well ventilated, but the DRT5 is relatively comfortable and protective with some unique design features. Oakley recently entered the mountain bike helmet market with their first production model, the DRT5. Billed as a do-it-all trail helmet, it has extended coverage, a durable in-mold construction, and a MIPS liner to protect your head. It has very minimal padding, yet testers found it to be relatively comfortable with a 360-degree Boa fit adjustment system and well-designed straps. It features an adjustable visor for goggle compatibility and a unique silicone brow pad design that effectively manages sweat and keeps it off your glasses. They've also integrated an Eyewear Landing Zone that secures your glasses on the helmet. Unfortunately, the DRT5 is much heavier and significantly less ventilated than our top-rated models. Beyond that, this is an interesting new helmet with unique features. Read the full review to see how it compares to the competition. Oakley is a household name when it comes to eye protection, and the industry giant recently started dabbling in the helmet market as well. The DRT5 is their first mountain bike specific helmet model, and it has some unique features that set it apart from the crowd. It has ample coverage and protection with a MIPS liner. They've also incorporated a Boa fit adjustment system, adjustable visor, a rubber sweat gutter along the brow, and an integrated sunglass holder on the back of the helmet. The DRT5 scored well for protection, features and adjustments, and durability. It lost ground to the highest rated models for comfort, ventilation, and weight. While Oakley may not have hit a home run with the DRT5, we think it's a solid effort and a worthy helmet for the rider who doesn't mind a heavier helmet. Testing the DRT5 on a beautiful spring day. Protection is one of the Oakley DRT5's strongest suits. This helmet feels solid with a very clean in-mold construction. It has a sturdy feeling polycarbonate shell and thicker than average EPS foam liner. Coverage is pretty good as well, with a moderately deep fit that provides ample occipital lobe protection, although it is a little higher at the temples than our competitors with the most coverage. Inside the shell is a MIPS slip-plane liner that is attached to the Boa fit adjustment system so that it pulls tension all the way around the head. Testers felt confident that the DRT5 would do its job and protect their heads in a crash. The DRT5 has good coverage, but not quite as much as some of the competition. The DRT5 feels like a protective helmet, but it was outdone in this metric by competitors with even more coverage. Both the Specialized Ambush with ANGi and the POC Tectal Race SPIN took top honors for their best in test coverage that comes down lower on both the occipital and temporal lobes than the DRT5. It ties for protection with several other helmets in this review, including the Smith Session and Forefront 2, the Bell 4Forty, and the Giro Montaro. All but one of the helmets in this review comes equipped with some sort of rotational impact protection system, so it is a relatively even playing field in that regard. Inside the helmet is a MIPS liner and very minimal padding. The DRT5 scored well for its comfort but again didn't top the charts in this metric. It's pretty comfortable, but it achieves its comfort differently than most. The general shape of the helmet, width, length, and depth feel pretty standard and should fit a broad range of head shapes well. Inside the helmet, there is minimal padding, almost none, except for a very small pad that supports the weight of the helmet at the top and back of the head. Across the brow, the helmet is equipped with a soft rubber sweat guide that is about 3/4 of an inch across and extends all the way across the brow from temple to temple. This sweat guide is quite soft and comfortable on the skin and effectively keeps sweat from dripping in your eyes or on your glasses. The helmet also comes with a more standard thin X-Static absorbent brow pad should you want to switch it out. It is arguably more comfortable. Testers found the minimal padding of this helmet to be more comfortable than expected. The silicone sweat gutter on the brow of the DRT5. This helmet has almost no padding. The helmet is secured on the head with the Boa fit adjustment system. It tightens a cradle around the base of the occipital lobe and pulls tension evenly around the whole head. The straps are also well designed and have a quality strap splitter around the ears that is fully adjustable and holds the straps flat with no unwanted ear contact. The chin strap also features a couple inches of adjustment so you can dial it into your needs. Ventilation is one aspect of this helmet that testers found lacking. There is less air moving around the head, which makes it generally less comfortable on hot days. We discuss this further below. The DRT5 is certainly comfortable, but testers found a couple of other helmets in this review to have a higher degree of comfort. The Specialized Ambush with ANGi is one of the most comfortable helmets that we've used, with a lightweight feel on the head, thin but ample padding, a 360 degree fit adjustment system, and significantly more head cooling ventilation. The POC Tectal Race SPIN also edges out the DRT5 for comfort, mostly due to the additional padding and higher level of ventilation. The DRT5, the Tectal, and the Ambush all share a similar strap yoke near the ears that is more comfortable than the competition. Ventilation is another metric where the DRT5 lost ground to the competition. This helmet has 13 vents and very shallow internal airflow channels. We don't judge a helmet's ventilation by the number of vents, but 13 is the least of all models in this test. This is the same number of vents as the Troy Lee A2, though the DRT5's vents are considerably smaller. Considering the number and size of the vents and the internal air channel design of this helmet it actually ventilates reasonably well, it just can't come close to the superior airflow of the highest rated models. It's a good option for cooler climates, but when it gets really hot we'd prefer to be in a different model. One nice feature of the DRT5 is the rubber sweat guide on the brow, which does an excellent job of keeping the sweat from dripping down your face when you inevitably overheat. It won't win any awards for its ventilation, but at least it has a sweat gutter to keep it out of your eyes when things really heat up. It looks most similar to the Giro Montaro MIPS, which has 16 total similarly sized vents and ventilates much better due to a superior internal air channel design. The Specialized Ambush with ANGi blows the doors off the DRT5 from a ventilation standpoint. The Ambush has 20 well-placed vents and deep internal airflow channels that allow for significantly more air movement. Even our Best Buy Award winner, the Bell 4Forty MIPS, has better ventilation than the DRT5. The DRT5 has a number of adjustments and features, some of which are quite unique. It has standard adjustments like a chin strap and a strap splitter around the ears, both of which are well executed. It has a 6-position adjustable visor for compatibility with goggles that can be run down or up and in four predetermined spots in between. It is the only mountain bike helmet that we've seen that uses a Boa brand dial to adjust the fit retention system. The attachment of the Boa FS1-1 fit system inside at the back of the helmet is also height adjustable on a three position ladder. At first, we didn't understand the use of the Boa system, but we quickly came to realize that the thin cord doesn't conflict with sunglass arms even if they happen to overlap. The sweat guide system on the helmet's brow is another interesting and effective feature. Oakley employs a silicone rubber strip that sits in the place of a standard absorbent brow pad. (The helmet comes with a regular brow pad as well.) This strip has four thin channels that run horizontally across your forehead. When we got really sweaty during testing, this system did prevent sweat from dripping off the front of the helmet or running down our faces like it normally does. While it is certainly effective, we wouldn't say it's perfect. The sweat seems to pool above the band and doesn't really drain unless you tip your head all the way to one side. The sweat guide actually works. We found it to pool sweat above it a little bit, but at least its not dripping on your glasses or running down your face. Being the sunglass company that they are, Oakley has also added some eyewear integration to the design, which they call the Eyewear Landing Zone. On the back of the helmet, two small black plastic clips fold out from vent holes. They are intended to hold tension on the arms of a pair of sunglasses. Testers found it quite difficult to near impossible to stash glasses back there one-handed. We usually had to stop to stow them. The system holds the glasses at the back of the head, and it seems to do so quite well, though we had a hard time trusting it for anything other than smooth and mellow roads and trails. The glasses do seem quite vulnerable in this position, and could easily be pulled off the helmet by a low branch. You can also remove the sunglass holders if you choose not to use them and Oakley provides a couple of plugs to put in the holes in their place, this also saves 7 grams of weight. The DRT5 is loaded with features and is one of only a few brands that prioritize eyewear integration. Smith, also a sunglass company, also designs their helmets to hold sunglasses, though they do it in a different way that doesn't involve moving pieces or extra parts. Both styles of sunglass integration seem to work effectively, and testers like it better than none at all. They've also gone out of their way to ensure that the fit adjustment doesn't conflict with the arms of your eyewear by using the Boa system. The DRT5 is one of the most fully featured helmets we've tested, we rank it right up there with the Smith Forefront 2 and the Specialized Ambush with ANGi. The DRT5 is one of the heaviest models we tested with a weight of 476 gram or 16.79 ounces. This helmet is noticeably heavier than all but one of the other helmets in this test and you can really feel it when you have them in your hands or you wear them back to back for testing. It doesn't feel crazy heavy when it's on your head, but it is a full 70 grams heavier than the Bell 4Forty MIPS, which is the third heaviest helmet we tested. In the DRT5's defense, the 6D ATB 1T Evo helmet takes the cake for the heavyweight title at 515 grams. For comparison, our Editor's Choice Award winner, the Specialized Ambush with ANGi weighs only 350 grams, roughly 30% less than the DRT5. The DRT5 is heavy. It's about 75-80 grams heavier than the average. The DRT5 has an in-mold construction that looks and feels very high quality. There are no gaps between the robust feeling polycarbonate shell and the thick EPS foam lining. The shell extends into each of the vent holes to protect the exposed EPS foam, and it wraps around the lower edge of the helmet for additional strength and protection. It also has a bit of mass to it. It's the second heaviest model in the test, and it really feels like it could take some hits. It can stand up to regular abuse in transport or getting tossed in the truck bed for a shuttle lap. All of the adjustable features seem relatively solid and have stood up to our abuse during testing. The cable from the Boa fit adjustment feels like it could potentially be a little flimsy, but we struggle to think of a reason that it would ever break. We've noticed that the velcro tabs across the brow that hold the sweat guide/pad in place aren't especially grippy and could become a problem down the road. The DRT5 is best suited for trail, all-mountain, and enduro style riding and riders who don't put a premium on weight or ventilation. It's certainly a quality, durable, and protective helmet but its bandwidth is limited by its mediocre ventilation and heavy weight. We liked the DRT5, we'd love it if it weighed less and had better ventilation. The DRT5 retails for $200. Sure, this is a well-made helmet with durable construction, unique features, and adequate protection, but we have a hard time saying this is a good value. It's less ventilated and significantly heavier than many of its competitors that cost roughly the same or even less. 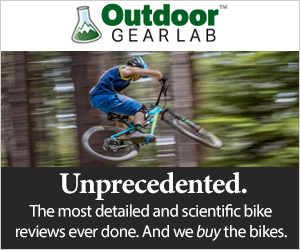 For the same price, we'd probably opt for our Editors' Choice Award winner, the Specialized Ambush with ANGi, or we'd spend a few bucks more to get the POC Tectal Race SPIN. If you're looking for the best value, we suggest checking out the Bell 4Forty MIPS which costs less than half at retail and scores higher than the DRT5. The DRT5 is a solid performer with unique features but it's far from perfect. The DRT5 is Oakley's first foray into the mountain bike helmet market. This is a quality, durable, and thoughtfully designed model that provides good protection and is relatively comfortable. It has several unique design features that make it stand out, like a silicone rubber sweat guide, a 360-degree Boa fit adjustment system, and clips at the back of the helmet for eyewear integration. It loses ground to the competition for its sub-par ventilation and heavyweight. That said, if you're willing to spend the money and don't mind the weight, this is a stylish and protective helmet that will serve you well.